We’re your best source for the highest quality, incredibly beautiful entertainment center cabinetry in the Wichita, Kansas area. 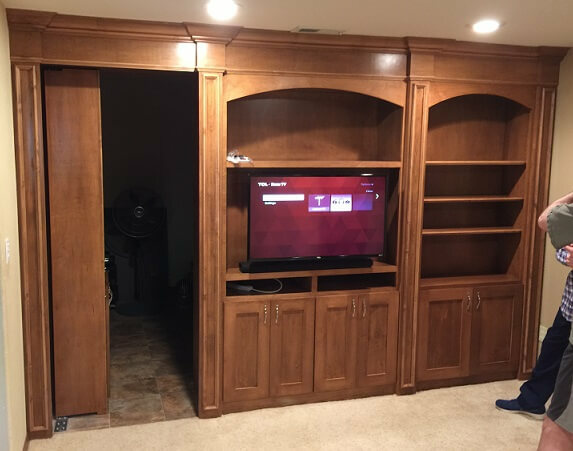 At Records Custom Cabinets and Trim Carpentry, we design and build lots of built in entertainment centers! Our custom built entertainment centers are designed and fabricated with your space, needs and budget in mind. Whether you desire a simple TV stand or an impressive wall of entertainment cabinetry to hold the latest HDTV, we can accommodate you. Like all of our custom cabinetry, our entertainment centers are available in a wide variety of domestic and imported hardwoods, and are available unfinished, stained or painted. Pull out CD/DVD storage, video game storage, adjustable TV mounts, glass doors, carved columns and integrated speaker compartments are just a few of the customizable options available on our elegant entertainment centers. 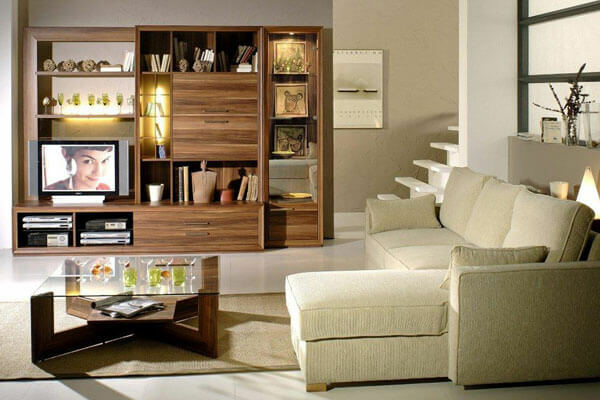 We can also add LED lighting, glass doors, adjustable shelves, drawers and pull outs for a completely personalized, furniture quality complement to your home or office. 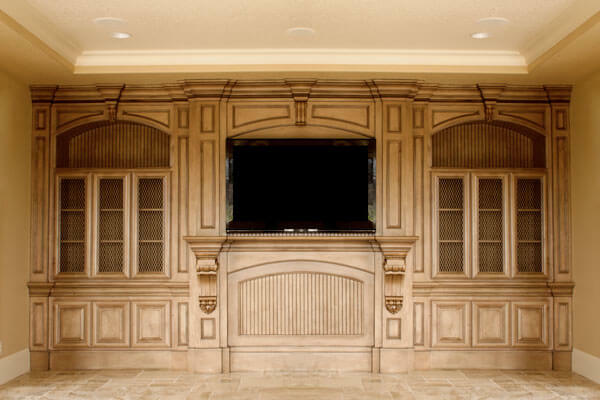 There is still time to get your customized entertainment center built and installed before the big game! 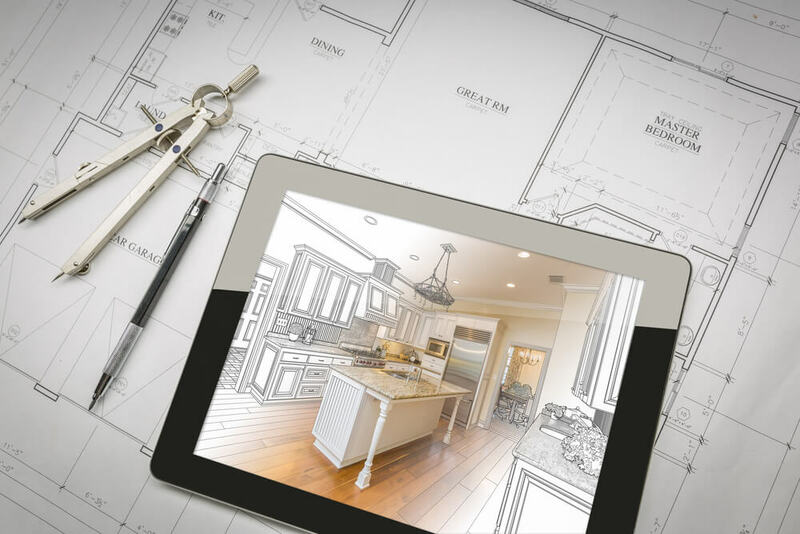 Call 316-733-6800 for a prompt, in home consultation. You’ll love watching the football and basketball playoffs with your new custom built entertainment center! The term media room is a general definition for a multipurpose space that is equipped with an oversized flat screen or projector TV, theater quality sound and plush, comfortable seating. 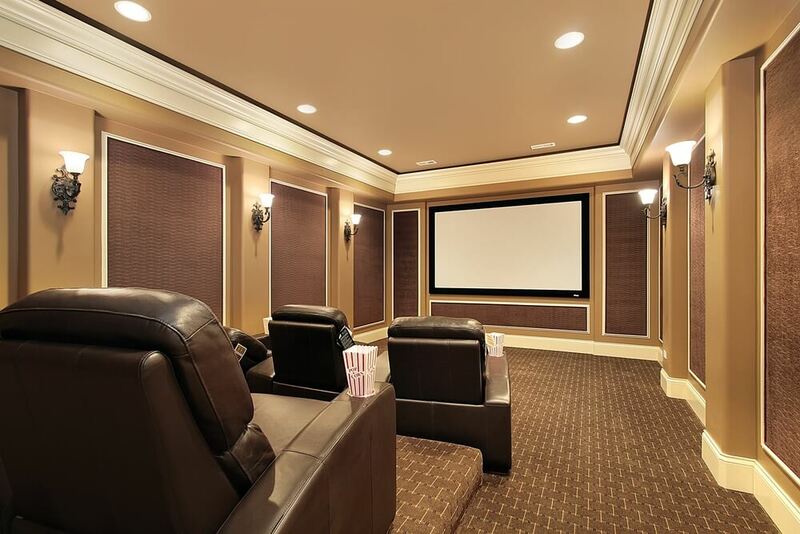 Media rooms, or home theaters are the best place for friends to gather to watch the big game, or for families to meet to watch the latest motion picture together. The kids will love video games on the larger than life screens! 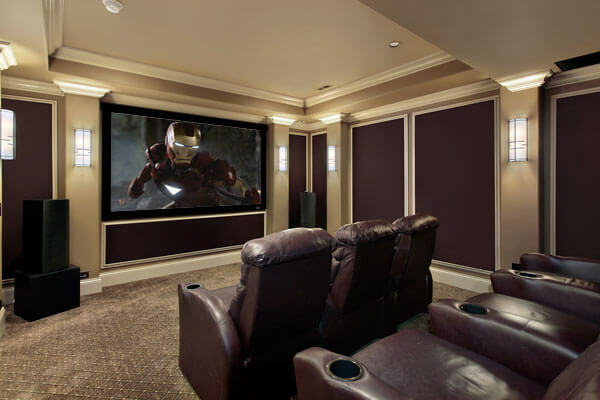 When family and friends are in town, the theater room is where they’ll want to hang out. 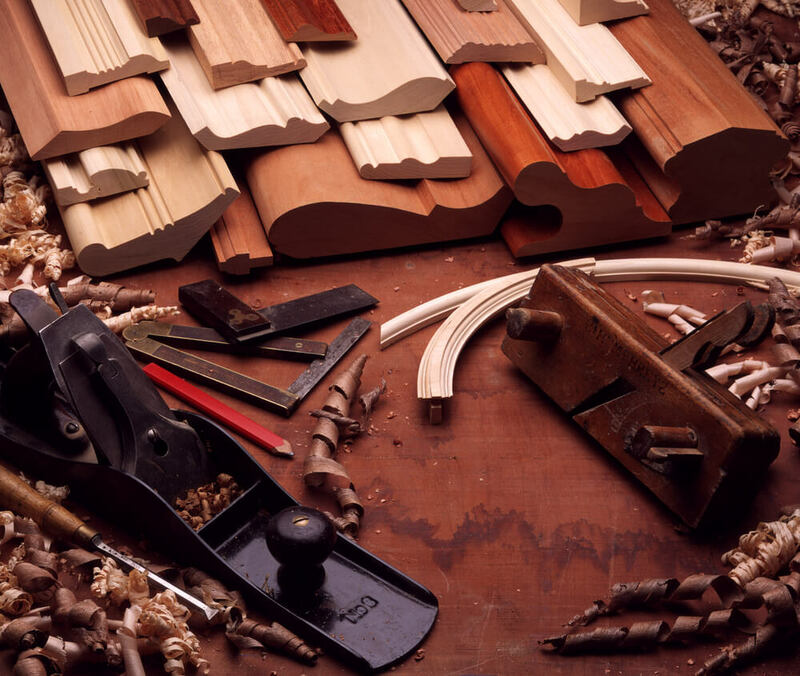 We can provide and install all your cabinetry needs for your new home theater or media room. 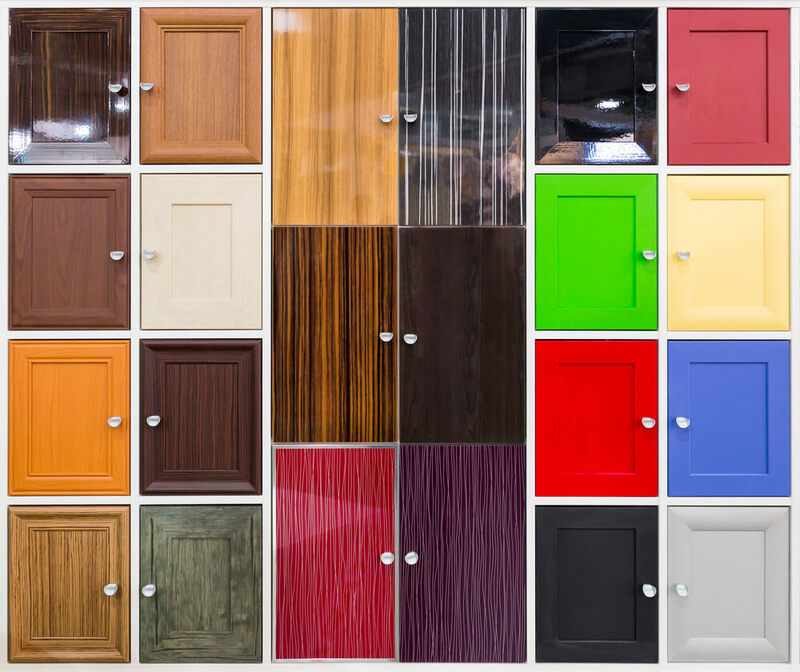 Whether you need elevated seating decks, paneled walls, box beam ceilings, over-the-top moldings, or cabinetry to hide all your theater components, Records Cabinets is the place to call in Wichita and all of central Kansas! Having a hard time picturing what your new entertainment center might look like in your space? 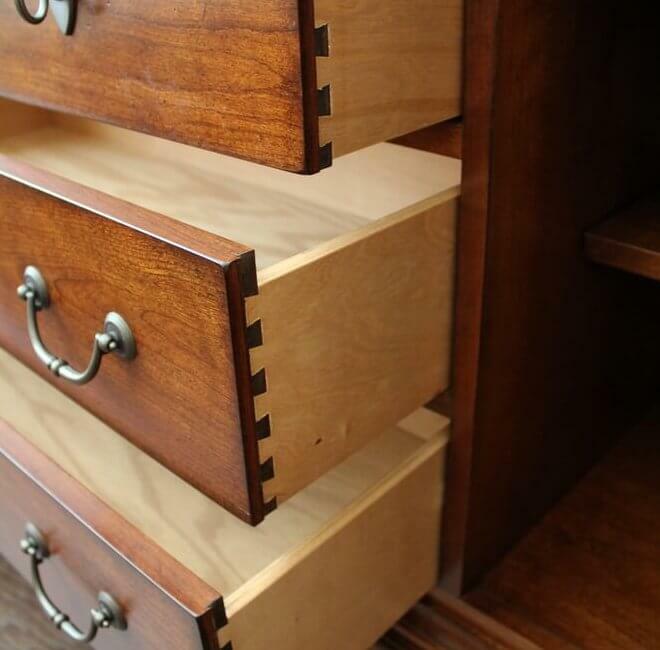 Not sure if your new custom entertainment center would look better in enamel, maple, cherry or walnut? Our computerized entertainment center design service can help! 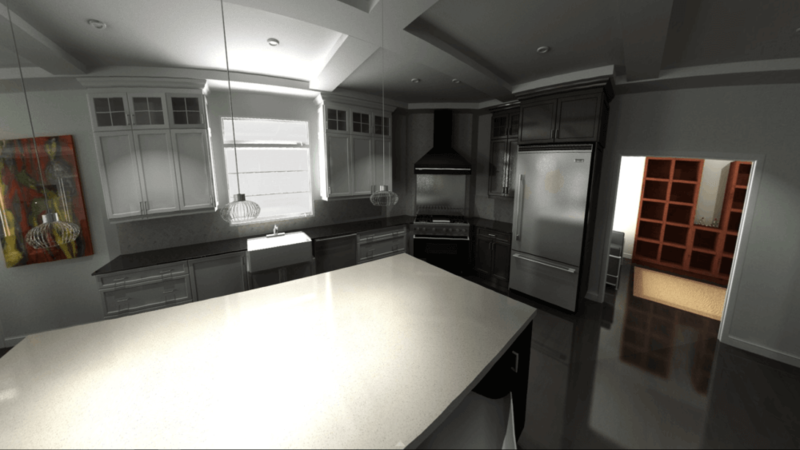 We can design your custom cabinetry with our cutting edge software and depict your built-in entertainment center virtually, allowing you to see an accurate representation of the finished product before the first piece of lumber is even cut! If you are planning an entertainment center, home theater system, or creating a complete home entertainment theater room, don’t hesitate to call us at (316)733-6800 or contact us online for a no cost in home consultation.